Biodynamics is about respect for nature, sustainability and spiritual ecology – but most of all it is about flavoursome, nutritious and enjoyable food! 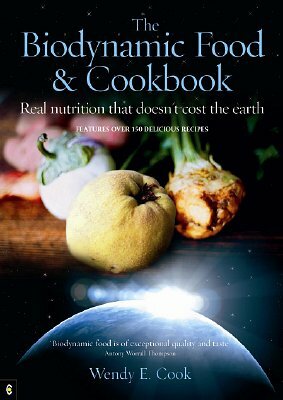 This is a book rich in information, beautifully illustrated and packed with healthy yet tasty recipes. WENDY E. COOK studied art at Cambridge where she met the comedian Peter Cook and later became his wife. Wendy soon gained a reputation as a hostess at their London and New York homes; her guests were as likely to include John Lennon and Paul McCartney as Bernard Levin and Peter Ustinov. When their daughter Daisy became ill with asthma Wendy began a journey of discovery that included complementary treatments and alternative philosophies. She studied many disciplines, including Rudolf Steiner’s approach to nutrition and agriculture. Having seen how life-changing nutrition can be, she devoted herself to cooking and teaching in clinics, communities and schools.